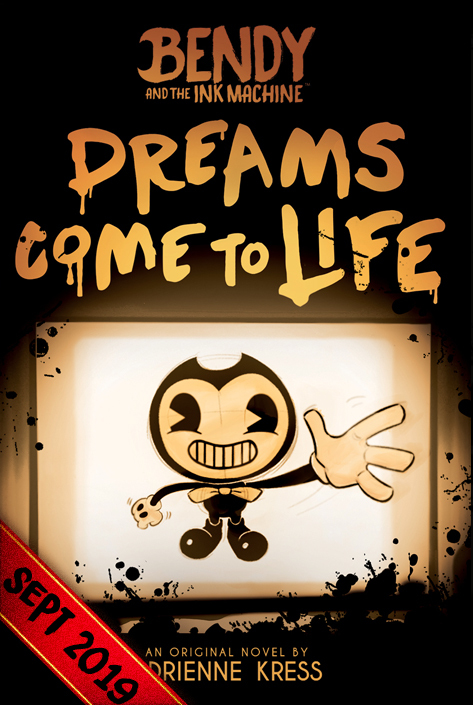 An all-new official, original novel from the twisted world of the hit horror video game, Bendy and the Ink Machine! Seventeen-year-old Buddy has spent most of his life trying to escape the Lower East Side slums of New York City. Working as a delivery boy to support his family, Buddy wants to become an artist, a dream he’s sure will never be realized. But that all changes when a delivery job puts him face-to-face with Mister Joey Drew, the eccentric owner of an animation studio. Mister Drew takes Buddy under his wing as an apprentice, thrusting him into a world unlike anything Buddy has ever seen before. There’s the colorful cast of the studio, from the cranky, yet driven composer Sammy Lawrence to Dot, the writing intern and Buddy’s counterpart. Working for Mister Drew, Buddy starts to think that maybe it’s really as simple as Mister Drew says: Dreams docome true. But not everything at the studio is as picture-perfect as it seems . . .
Something is going bump in the night at Joey Drew Studios, something that leaves behind trails of thick, dark ink. While the studio frantically works toward their latest deadline, Buddy and Dot team up to find out just what is tormenting the studio after-hours, even if it means tracking the trail to Mister Drew himself. Don't miss this official, original, pulse-pounding story from award-winning author Adrienne Kress, developed with theMeatly, Mike Mood, and Bookpast!